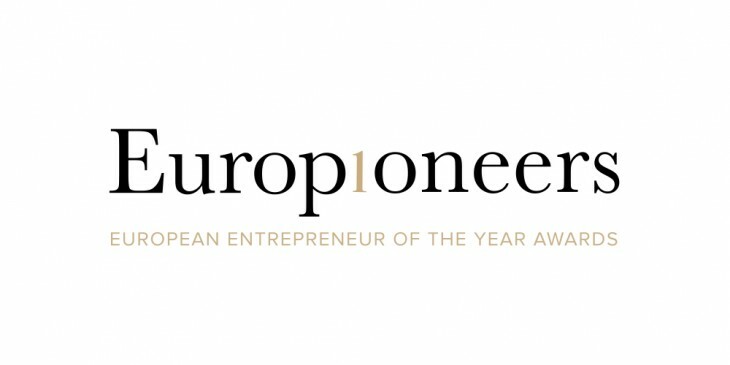 Today, after months of sifting through thousands of nominations, public voting and judges selections, The European Commission and The Next Web are delighted to announce the final winner for Europioneers 2013: European Entrepreneur of the Year and Young European Entrepreneur of the Year. Europioneers is a celebration of Europe’s most influential and innovative entrepreneurs, and represents the European Commission’s appreciation of the people in the Web and tech sector who can transform economies, drive innovation and change communities and industries. Tonight sees the Europioneers award ceremony take place in Amsterdam, where Vice-President of the European Commission, Neelie Kroes and Amazon CTO, Werner Vogels are presenting the awards. In a world where the leading online social services are based almost entirely in the USA, Alexander Ljung and Eric Wahlforss have grown the number one audio sharing platform from their base in Berlin, Germany. Founded in 2007, SoundCloud was initially adopted by musicians thanks to its tools for easy sharing and collaboration around song ideas. It has expanded to support a community of users that takes in everyone from bedroom podcasters to major media brands. Perhaps the brightest star in the currently cool Berlin scene, SoundCloud says that its service reaches 180 million people per month, and that 10 hours of audio are uploaded every minute. SwiftKey was founded in 2008, when Jon Reynolds was just 22 and working as a graduate trainee for the British government. He and his co-founder Ben Medlock met at Cambridge University while one studied Physics and the other, Natural Language Processing. This education would play a key part in the development of their future company. The London-based company’s goal is to make interacting with devices faster, smarter and more personalized, and with this in mind, Reynolds has overseen the growth of the company from two to 100 staff. Europioneers began with more than 900 nominations from the public. The 20 nominations were subject to public vote, whittling it down to ten. From there, a panel of judges got involved – Charles Arthur of The Guardian; Mike Butcher of TechCrunch; Saul Klein of Index Ventures/Seedcamp; Antti Vilpponen of Arctic Startup/Upcloud; Olivia Solon of Wired, and Werner Vogels, CTO of Amazon. Judges’ scores were combined with another public vote, determining the final five in each category. Finally, another round of judges’ voting determined the overall winners. Congratulations to Alex, Eric and Jon – true Europioneers.